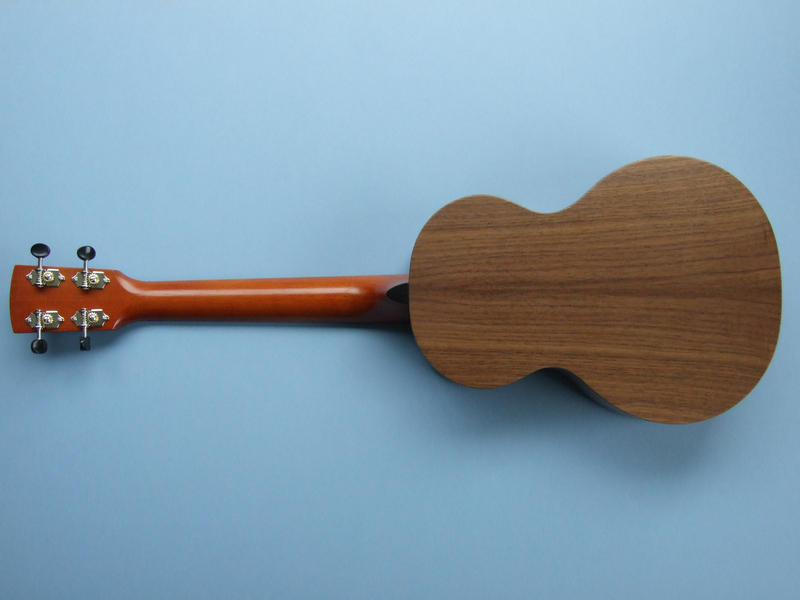 Body: American Walnut with African Walnut and black ABS binding. 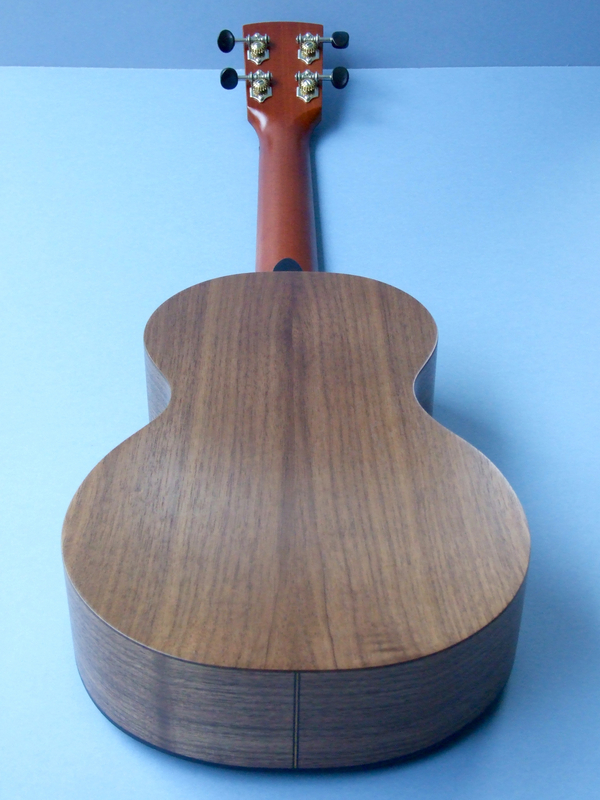 African Walnut and Ebony rosette. 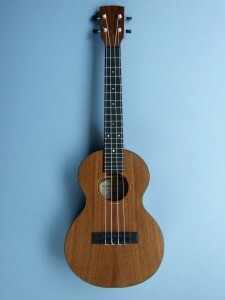 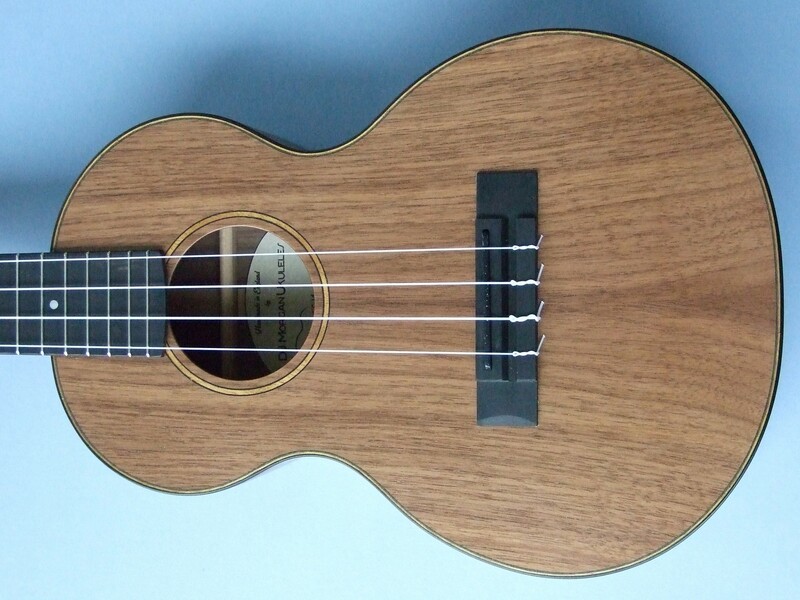 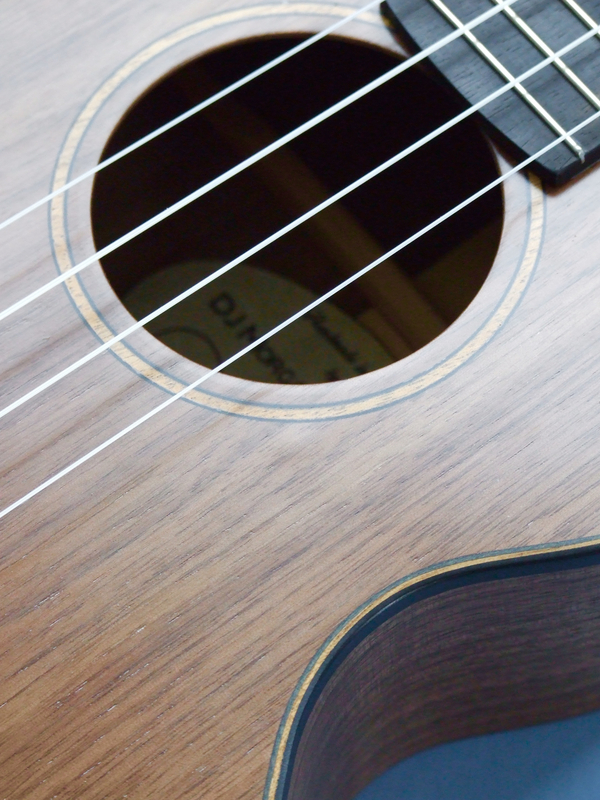 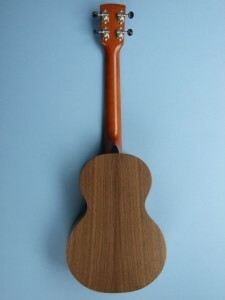 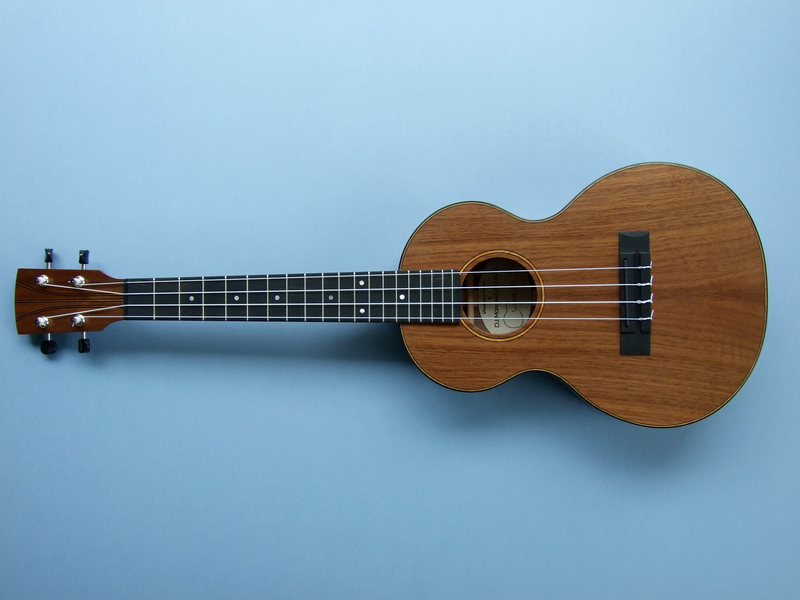 Neck: Spanish Cedar with carbon fibre rod. 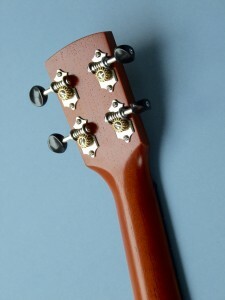 The neck meets the body at the fourteenth fret with nineteen frets in total and 36mm wide at the nut. Fretboard: Ebony with acrylic fret inlays and side dots and a black corian nut. 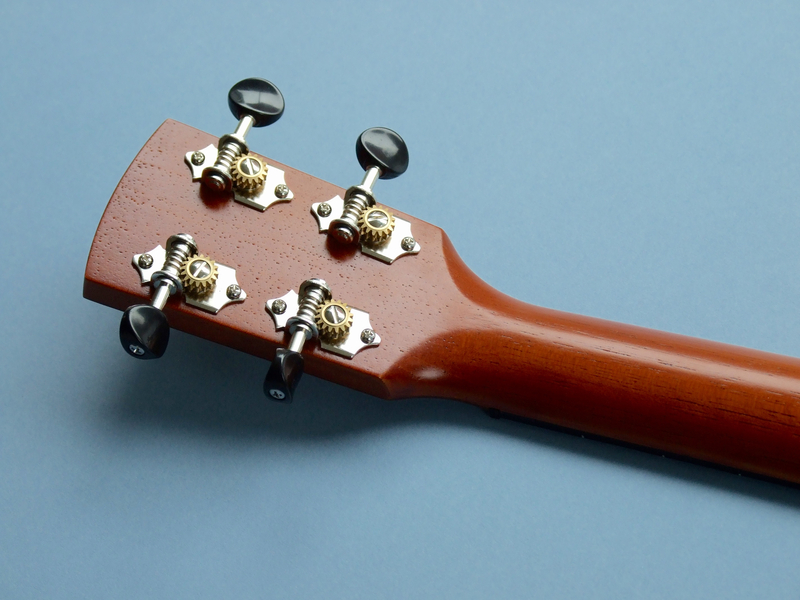 Bridge: Ebony with a black corian saddle. Finish: Open pore. 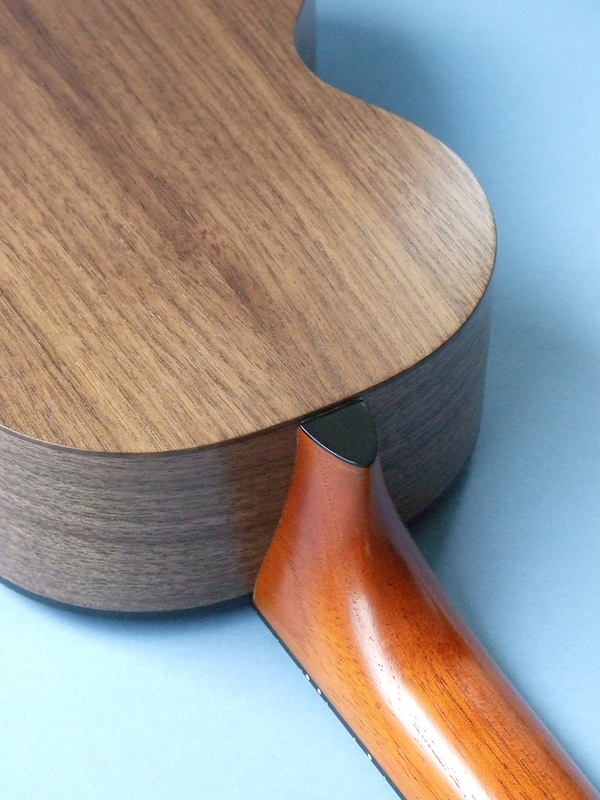 Semi-gloss cellulose lacquer.